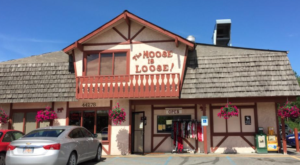 Alaska is known for many things, not least of which are the old roadhouses and general stores located throughout the state. 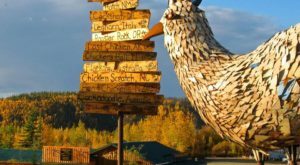 The Fritz Creek General Store is the perfect example of all of the wonderful things you can find in a general store in Alaska! With everything from vintage post office boxes, to freshly baked breads and deli sandwiches, you’d be hard pressed not to find something you’d love in this store! The Fritz Creek General Store in Homer, Alaska is located in a log cabin. 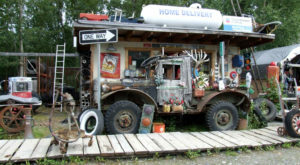 It sports the traditional Alaskan touch, with a rack of moose antlers above the United States Postal Service sign. Inside it has wide, wooden planked floors and rafters in a high ceiling. Like most general stores, this establishment has a little bit of everything. 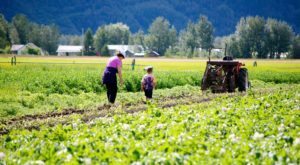 To offer variety to the lovely folks of Homer, Alaska, you will find lots of options that cater to different dietary needs: gluten free, vegan, and organic. They also offer lots of fresh, local produce and eggs. 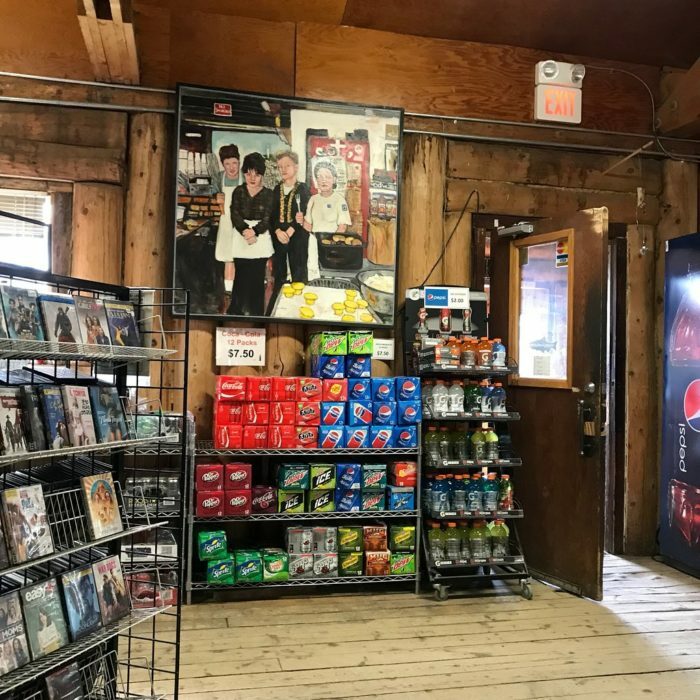 This general store is one of the few places left in America that still offers video rentals. With a wall of snacks behind it to complement your video choice, of course. You can find everything from your favorite sodas to plenty of junk food, perfect for a night in! 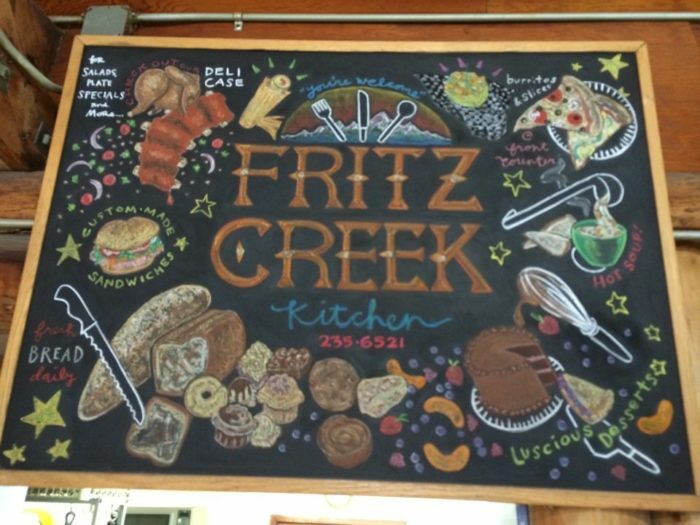 Fritz Creek General Store offers a big, beautiful deli with lots of delicious homemade options. 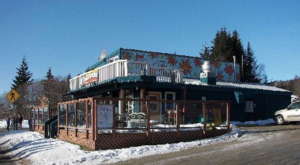 It is well known throughout the east end of Homer for their wide array of freshly baked goods. It also doubles as a common meeting area, with friends catching up at one of their wooden tables with hand carved wooden chairs. 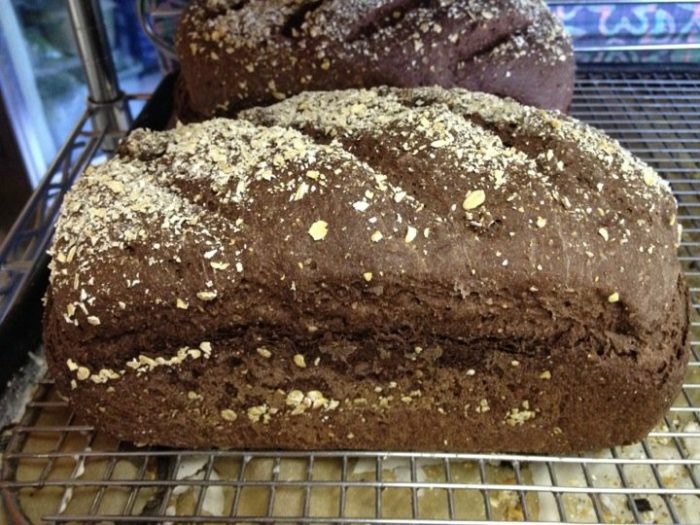 All of their deli selections are handmade on their freshly baked bread. 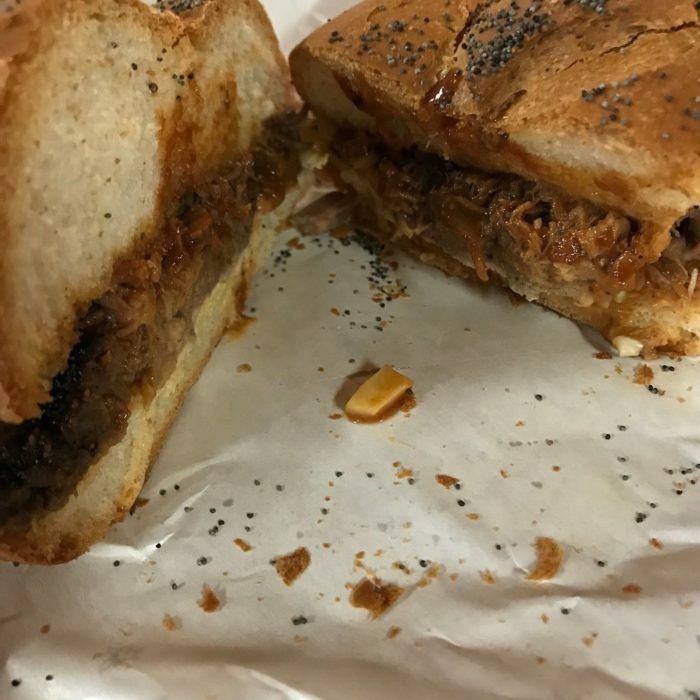 This beauty is their famous brisket! It's been reviewed in many publications, including Fodors. 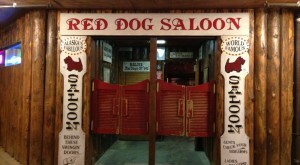 Locals and tourists alike come for their brisket that is smoked right out back! Short on time? 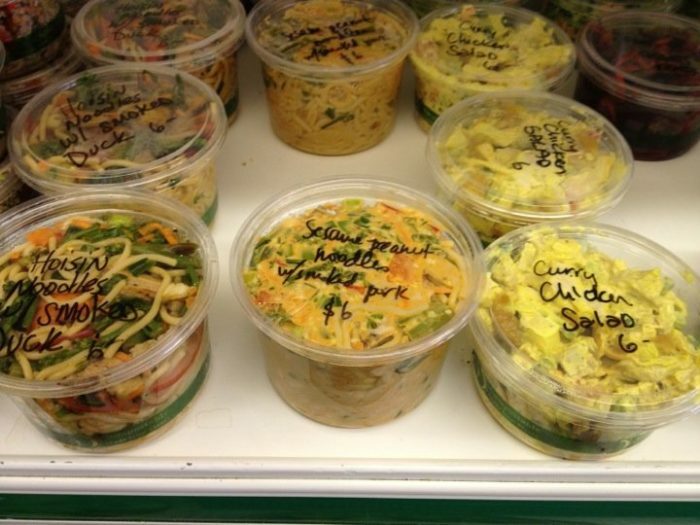 They also offer great pre-made takeaway options, like curried chicken salad and sesame peanut noodles. They also serve an incredible variety of pastries including scones, muffins, cinnamon rolls, and dessert pies and cakes! It's hard to choose just one item. They have a wide variety of freshly baked bread, made fresh and easy to take home with you. And if you're not in the mood to cook, that same oven can whip up some of their favorite pizza! Locals rave about the pizza options available, and are quick to order a slice. 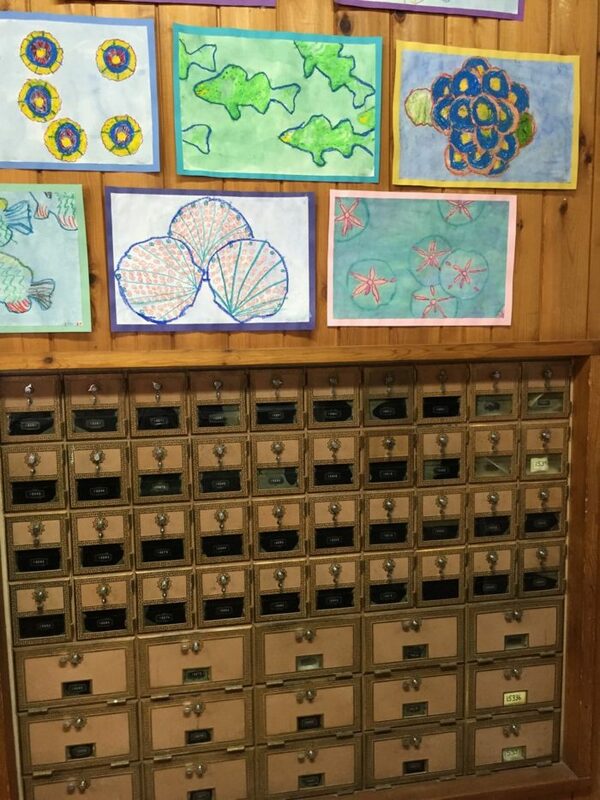 The US Postal Service located in this general store offers the use of antique post office boxes! As Homer, Alaska is a town known for it's artists, they will frequently display local artwork throughout the store. The artists change on a rotating basis, and sometimes they will even feature artwork from the students of the local schools. 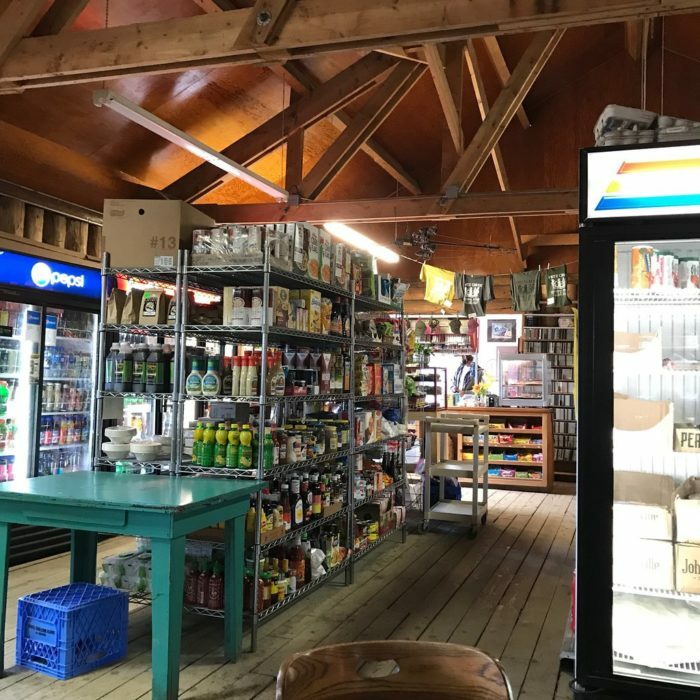 The Fritz Creek General Store is conveniently located just 8 miles up East End Road in Homer, Alaska. 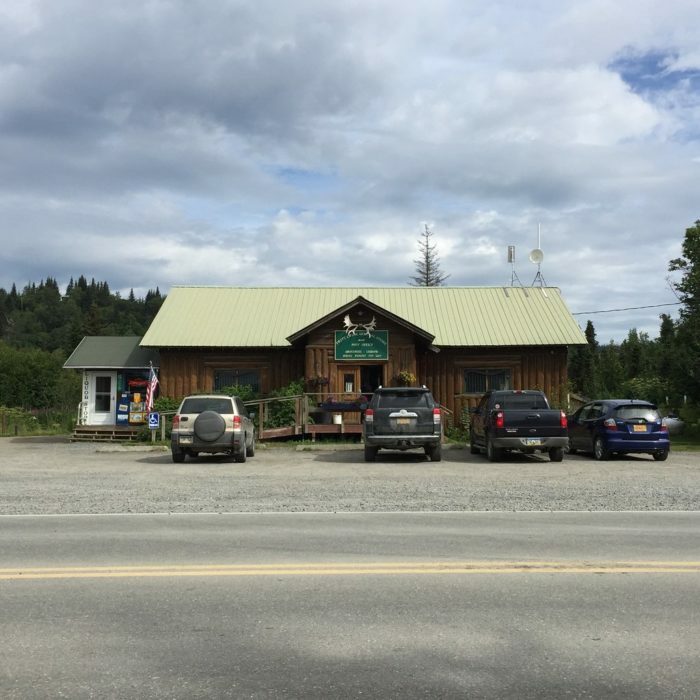 Fritz Creek General Store is located at 38782 East End Rd, Homer, AK 99603, and is open seven days a week! Monday through Saturday you can drop in any time between 7:00 am and 9:00 pm, but Sunday you can only catch them 10:00 am to 8:00 pm. You can check out more about Fritz Creek General Store on their unofficial Facebook page, here. 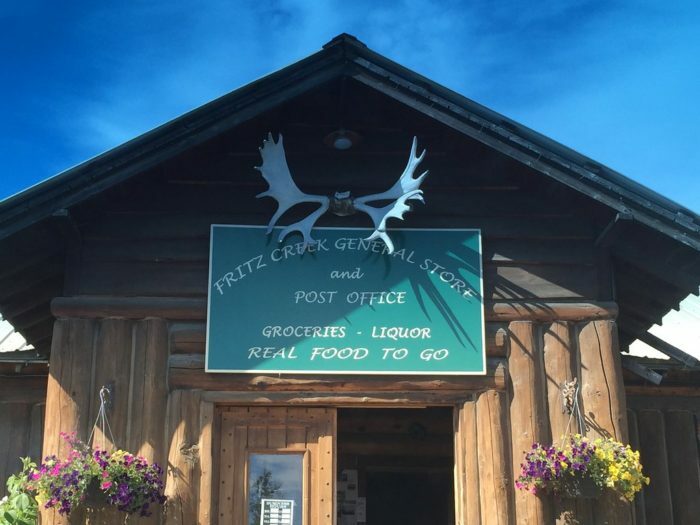 Alaska has many great general stores like the Fritz Creek General Store, all of them filled with character. Have you been to any? Which one is your favorite? 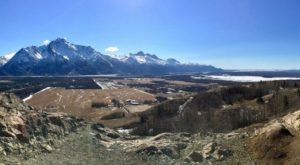 Need another reason to visit Homer, Alaska? 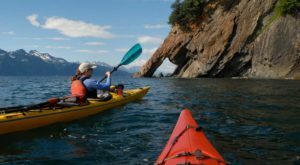 Check out why This Seaside Town In Alaska Was Just Named One of the Best!